As we get closer to Valentines Day, many people will be scrambling to make reservations at a restaurant or bar. If you aren’t sure what you’re doing for your special someone, there are a few creative ways to celebrate without leaving the house, but you still might have to park your car in the driveway. Your garage space is a place of opportunity. It’s a great way to put together a production and have an easy clean up afterward, too. 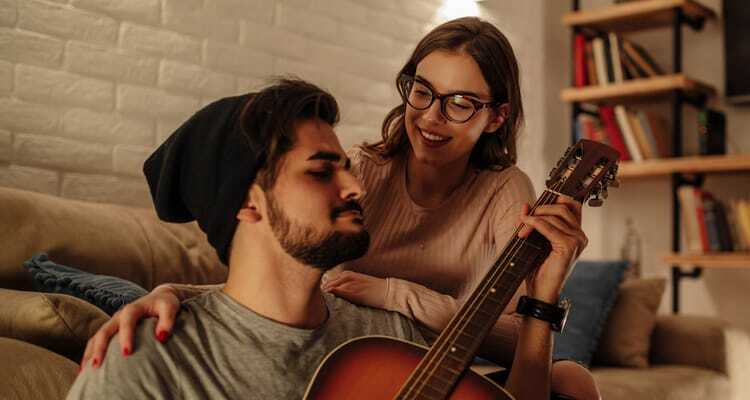 Skip the usual dinner and movies and get extra points for creativity, comfort, and personal touch with these four romantic date ideas to do in your own garage. Whether you prepare a home-cooked dinner with wine or order takeout, you can set the mood and orchestrate a date night ‘away’ from home. String lights on the garage walls and ceiling to create a romantic vibe. Softly play music in the background, and set up a dinner table for two, complete with candles, a card, and flowers. Don’t forget dessert! If this is a longtime love, recreate the first date, and when dinner is over and you’re ready to go ‘home,’ you won’t have to worry about traffic at all! Nothing speaks date night like going out to the movies… or staying in for them. You’ll need a projector or large-screen TV, a cozy couch, blankets, and theater snacks such as popcorn, licorice, soft pretzels, nachos, and soda (or wine). Place the projector towards the garage door (or a white wall clear from debris) to serve as your screen. You can also select a few movies ahead of time and let your date choose what to watch. This one might take a little thinking ahead, but you can create a romantic and relaxing atmosphere in your garage by booking a masseuse in advance and setting up a sensual spa day. Or, try your hand by giving a massage all on your own! Cover the walls in white or light colored linen. Use a variety of candles and essential oils to set the mood, dim the lighting, and put on a soothing playlist. Make sure to have a massage table ready with towels and warm stones, lotions, or oil that you can warm up in a crockpot. You can also provide DIY masks or scrubs for facials, cucumber slices for eyes, and salts for a foot soak. Serve champagne mimosas, fruits, and chocolates on the side. You’ll be surprised at how this simple setup can transform the room.